The Internet continues to provide me with so much more than access to information. Through my blog, Ancestry, Facebook, Google, and ordinary old email, I continue to find and be found by cousins all over the world. In the last two weeks, I have seen my network of cousins expand and greatly enrich my knowledge and understanding of my family history. So a few updates. First, I heard from a relative of Margaret Swem, the wife of Felix Schoenthal, my Boston relative, and she filled me in on the background and family of Margaret. Quite interesting information that I will add to the post about Felix and his family. Once again, having a blog proved useful because Margaret’s relative found my blog by Googling Margaret Swem’s name. Second, an Israeli second cousin, once removed, of my husband found me through my tree on Ancestry. I haven’t even done very much yet on my husband’s family, but through this new cousin we’ve learned a great deal about the Shrage family in Zabarazh, a town once in Galicia but now part of Ukraine. It’s been very exciting learning from our new Israeli cousin. Third, I’ve heard from a descendant of Hettie Schoenthal, one of Simon Schoenthal’s younger children about whom I’ve yet to blog. This new cousin has shared some of Hettie’s own remembrances of her life as well as other stories. I am looking forward to incorporating some of those into the blog as well as some photographs. Fourth, I’ve been in touch with two British relatives of the UK Selinger cousins, relatives of Julius, Alfred, and Frederick Selinger, all of whom married my Cohen relatives. I then put the two of them in touch as they had not previously known each other despite being cousins. That gave me great satisfaction, and now all three of us are hunting for answers about the connections among some of the Selingers. Fifth, I am in touch with a Goldfarb cousin and hoping to learn more about this recently discovered branch of my Brotman family line. I just received a huge package of information that I need to go through, enter into my tree, and research. Sixth, another Hamberg cousin just contacted me this morning. And last but definitely not least, my cousin Wolfgang in Germany sent me new information about our Seligmann family line. He and his mother received four new documents about our ancestors. The first reveals two more generations back in the line of Jacob Seligmann, my four-times great-grandfather from Gaulsheim, Germany. I will be blogging separately about these documents and what they revealed in the next few days before I return again to the children of Simon Schoenthal. Turning on my computer in the morning has become a real treat, waiting to see who has found me, who has responded to my inquiries, and which cousin has new information to share. Sometimes I feel overwhelmed by my good fortune. Sure, there are still many people who don’t reply to my emails or Facebook messages, but for every person I have found or who has found me, I am so deeply grateful. The family tree keeps growing, and with it so does the world-wide web of fascinating and generous people whom I can call my cousins. 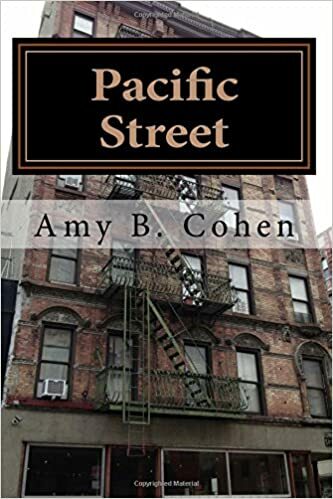 This entry was posted in Blog information, Brotmans, Genealogy, Schoenthal, Seligman/Seligmann and tagged brotman, Cohen, Facebook, genealogy, goldfarb, internet, schoenthal, seligman, Selinger by Amy. Bookmark the permalink. It has been a pleasure for us too Amy. You have put a lot of thought into my questions before helping me with the answers. Wow, that’s a lot of connections. I’ve made some, as well, in ways that I never thought possible. My most “off the wall” connection was with a 3rd cousin – our great grandfathers were brothers. Her mother died in 2014 and when I found the online obituary several months later, I added a note to the guest book and explained how we were connected. And THE DAY I was planning to blog about her great grandparents, I received an e-mail from her. Talk about good timing! Wow, that was good timing. I have found sadly that the people who tend to respond to my inquiries often have lost a parent recently and find themselves looking to learn more about the family’s history. Can’t agree with you more. Don’t know what we would do without our computers and family research. Never lost for something to do. Just a great hobby. Its amazing how everyone is interested even though most don’t do it themselves. We are always helping people to start up or with a problem. Can’t get enough of it. I know—it’s become my passion and obsession. I can’t believe how satisfying it is and how much fun it is. Not to mention challenging, stimulating, and interesting! Thanks for reading and commenting.